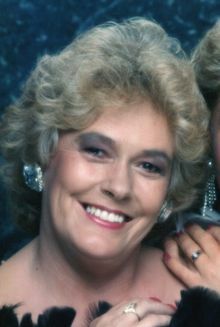 Doris Marie Dennis, 77, of Chester went to be with the Lord on Friday, April 5, 2019. She is the daughter of the late Lee Webb and Mable Leslie Webb and is also preceded in death by her son, Dennis Randolph Crotts, Jr; brothers, Francis Webb, Terry Webb and sister, Edith Brown. Doris is survived by her daughter, Denise Gunn (Burt), son, Robert Crotts (Jacqueline); grandchildren, Louis Wyatt, III, Kevin Wyatt, Courtney Crotts, Christian Crotts; great grandchildren, Louis Wyatt, IV, Kayla Wyatt, Ryan Wyatt, Jr, Reef Wyatt; sister, Mary Tuck, Janet Young and special nieces, Beverly Daniels and Genna Outlaw. She was a longtime member of the Women's Moose. The family will receive friends on Tuesday, April 9, 2019, from 6:00 p.m. to 8:00 p.m. at Memorial Funeral Home, 214 N. 6th Ave in Hopewell. Doris's funeral ceremony will be on Wednesday, April 10, 2019, at 1:00 p.m. in the funeral home. Final rest will be in Merchants Hope Memorial Gardens.